Did mother and sons imagine their ambitious plot would secure for her boys a special place at Jesus’ side – were they power seekers? Jesus assured them that what they had in mind did not come within the orbit of his God-given role. He tells them that he does not consider that they have understood the consequences of heading for Jerusalem. He asks if they are able to share with him his “cup of suffering”. Their expectation was a victor’s crown! Regular readers will recall our earlier encounter with the two ambitious smart guys when we asked what was wrong with ambition. The question now is – What is wrong with power? Power tends to corrupt and absolute power corrupts absolutely (Lord Acton). History is littered with despots and all sorts misusing and abusing power. Think Hitler, Mugabe, Assad and you get the picture. What’s wrong with power? Like ambition, there is nothing wrong with power of the right kind. Jesus had to face the attraction, the lure, of power and come to terms with it. He chose a desert place at the outset of his ministry “away from the maddening maze of things” to sort it out. There he sought to know what his ministry would be; what his method would be; what the consequences were likely to be. For 40 days, led by the Spirit, Jesus lived alone in this wilderness and it was as though a devil tempted him. As usual, we don’t know everything that happened or all that was said during the time Jesus engaged in battle with the power of evil – only a summary. And it is about power: Jesus contemplating how to manage power. “If you are the Son of God”, the Tempter mockingly addressed Jesus, “then you have been given a place of privilege in the work of your God’s kingdom and with it the gift of a special power”. Jesus knew that and for 40 days he was seeking to shape his ministry accordingly, And despite the allure of the Tempter He chose not to use his God-given power to alleviate hunger by turning stones into bread; rejected using his power to bring the kingdoms of the world under his control and the glory that goes with it; and he was not going to be a stunt man performing spectacular circus feats to win the applause and approval of the masses. What a difference it would have made had he succumbed to the Devil’s guile and charm! But it was a misuse of power. Disappointed and deflated they might have been – the amazing thing is, that at the end of day they still believed in Jesus. The remarkable thing is they still followed and remained loyal to the Galilean carpenter who was facing imminent execution. Misguided as James and John may be, their hearts were in the right place and we have a story that takes us back to the time of Jesus; a story that reveals something of the character of two of Jesus’ friends and not in very good light! Above all, a story to encourage and assure us it was with people like ourselves, with our doubts, our failures and our misunderstandings, that Jesus set out to change the world – and did! This entry was posted in Bible references, Matthew and tagged Ambition, Apostles, Devil, James, Jesus, John, Power, Satan, Temptation, Zebedee on September 25, 2013 by Anabel @ The Glasgow Gallivanter. The tale of two ambitious young men who fancied their chances: the sons of Zebedee and disciples of Jesus. They wanted the highest place of honour, the place closest to Jesus when the Master attained his day of influence and power, “Teacher,” they said to Jesus, “We have something we want you to do for us. Arrange it so that we will be rewarded the highest places of honour in your glory – one on your right, the other on your left.” (The Message – Petersen) Two young men, neither shy in currying favour with Jesus – their ambition to be given the most prominent places in Jesus’ glorious kingdom! Ambition: nothing wrong with ambition – depends on what motivates it and how it is pursued. The Talmud (the Jewish Bible) lists seven types of Pharisee and it puts at the top of the list the “what do I get out of it” Pharisee. They may not be religious, but for some time now the media has regularly drawn to our attention, people (mainly men) being awarded, or awarding themselves, colossal sums of money, salaries, ultra-generous bonuses, excessive settlement payments and, in some cases, what appears to be rewards for failure. Despite the adverse publicity and condemnation, there would appear to be still around those whose ambition is of the “what do I get out of it” variety and, in many cases, an ambition fuelled by greed. But ambition can be, and is, much healthier and above-board. She made history when appointed Speaker’s Chaplain at Parliament: Rose Hudson-Wilkin is a Church of England priest. An interesting character, her story the more remarkable because she is the first woman to hold this appointment and she is a black woman. Those who know her are sure she is “going places” in the church and she is widely tipped as the first Church of England women bishop. When asked if she had any desire to climb the ecclesiastical ladder, she said this was most certainly not an ambition she cherished. “And that is truth” she said. She went on to say that she had two ambitions in life after ordination. One was to meet Desmond Tutu and the other was to meet Nelson Mandela. “I have achieved my ambitions” she said. “I have no other ambition, I’ve done it.” Away from her duties in Parliament, Rose is happily and contentedly caring pastorally in two East End parishes – all she wanted to do from an early age. Her story – the story of a different, more acceptable ambition. A bit different from that which I imagine to have driven the sons of Zebedee to ask their favour of Jesus. Have I grounds for describing the ambition of James and John in the way I do? Am I being fair to them since neither Mark nor Matthew go into that kind of detail? Well, I have to admit it’s only an unsubstantiated idea of mine. However, reading between the lines may provide a clue. What should I be looking for? 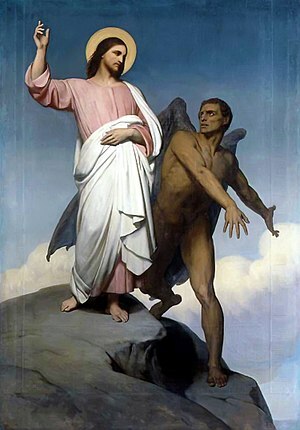 First, is it possible for the ambition of those two disciples to be in any way like the “what do I get out of it” kind? Imagine the scene, the occasion! James and John in a party on the way to Jerusalem; Jesus walking ahead of them, the disciples – bewildered and afraid. Jesus had warned them of what awaited them there: intense hostility, arrest, trial, death. Nevertheless, the disciples did not understand what was happening. They certainly were aware that Jesus was not exaggerating when He warned how He would be treated. What distressed them was the Master’s insistence that the journey to Jerusalem was to culminate in the Cross. Their ambition for Him was more in accord with Handel’s Messiah – “King of kings and Lord of lords”. And this is what may have got the ambitious duo to thinking, here may be our last chance to take our dream to Him and secure our place at the top table. Better get our request in now, before it’s too late. I have a feeling, I hope I’m not doing anyone an injustice, that somehow or other they managed to get Jesus to themselves, away from his friends – without them knowing. And, with a bit of flattery to create a better impression, they dispense a bit of verbal garnish to their pleading, instead of referring simply to “Your kingdom” they speak of “Your glorious kingdom”. To achieve their inflated and selfish interests the Twins were prepared to be a wee bit sneaky. As for the Kingdom – it ran second. There is an additional and intriguing aspect to this tale. Matthew in telling this story puts a different slant on it. With Matthew it’s not the lads who went to Jesus but their mother: “The wife of Zebedee came to Jesus with her two sons, bowed (further flattery?) before Him and asked her favour.” “Promise me” she asked,” that these two sons of mine will sit on your right and your left when you are King.” (Matthew 20:20-21). She obviously thought her lads were worthy of such recognition and that she had the better chance of succeeding – perhaps her charm would do the trick! On the other hand, it has been suggested, and it might be correct, that Matthew was of the opinion that the Zebedee family’s action was unworthy of an apostle and to save the reputation of James and John he attributed it to the natural ambition of a mother for her offspring. When they got to Jesus, she did the talking, but her sons were with her. However we read it and whoever wrote it years after the event, the other disciples were vexed and indignant with the behaviour of their two colleagues – with good cause. I think we may well be talking about two aspirants to fame, of the “what can I get out of it” syndrome. Nothing wrong with ambition, the right kind, but we have to ask – did those two imagine that acquiring the chief places next to Jesus when He was King in His glorious kingdom would invest them with power as well as place? That’s the next question. To be continued. . . . . . . This entry was posted in Bible references, Mark, Matthew and tagged Ambition, Apostles, James, Jesus, John, Pharisees, Rose Hudson-Wilkin, Talmud, Zebedee on September 18, 2013 by Anabel @ The Glasgow Gallivanter.